You know how BMW is, in almost certainty, developing its next sporty roadster alongside development of the new Supra with Toyota, right? In all of that will they, won’t they—wait, are they?—commotion, the BMW somehow started being labeled the ‘Z5' as an assumed progression from the previous Z4. Well that’d made too much sense. The amount of updates, clarifications, and new reports surrounding the development of this awkward Toyota-BMW marriage feels like it has dragged on for an eternity, especially considering we haven’t actually received almost anything officially confirming either car yet. We have seen mules of the Supra running around, and we did get a pretty good idea of what that will look like—but even then there’s been almost nothing on the car formerly (and incorrectly) known as the BMW Z5. “There’s no such thing,” said BMW Americas boss Ludwig Willisch during an interview with AutoGuide.com. If anyone’s familiar with the top-secret sports car project, it’s him. 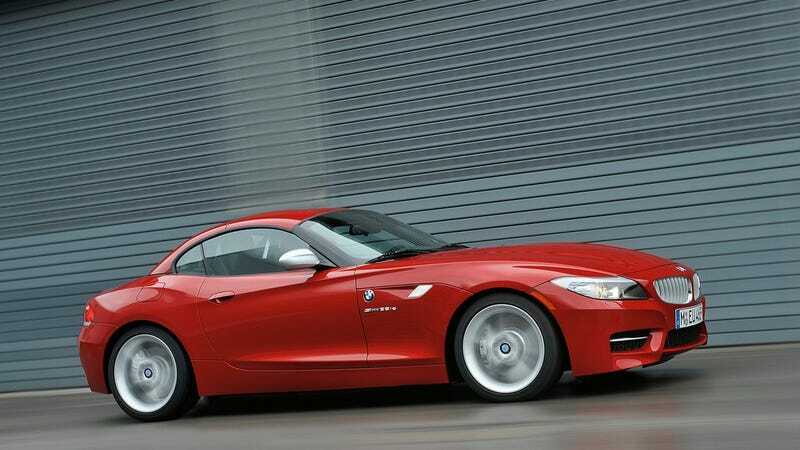 “Z... probably 4" is a great name for a BMW considering the automaker’s recent apparent lack of confidence, but keeping around a name that some people might actually recognize is never a poor move, even if the old E89 Z4 never quite made an impression. The new “Z... probably 4" will likely try to distance itself from its Supra step-sibling by targeting a more luxurious market and proclaiming itself a Porsche-fighter or some such thing. As we learned this week, this new (likely) convertible coupe will be joining BMW’s new 8 Series, and that now just leaves the 6 Series slot open for something we haven’t heard about yet. While we’re expecting the Supra this October, it’s not clear when BMW plans to introduce its new drop top just quite yet. Editor’s note: I changed the headline because I wanted to.